Royal Blue is a cosy budget property located on Road Number 1, in Mahipalpur extension, in Delhi. The hotel is close to Aerocity, and not too far from the Rose Garden. 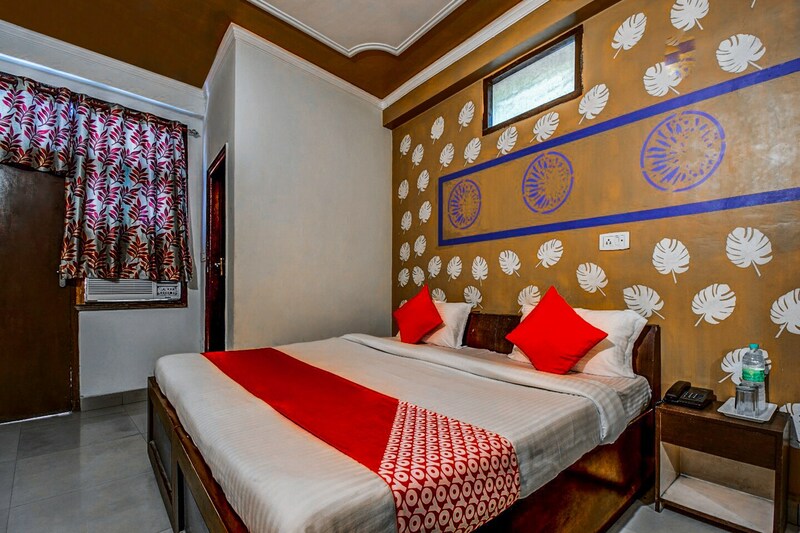 Each room in the hotel has a feature wall that has been artistically painted for the guests to admire. Bright shades of green, blue and red add liveliness to the rooms. The bathrooms are clean and have modern tiles. Each room comes with TV, AC, and free Wi-Fi. Parking, power backup and CCTV cameras for security are also available here. Eateries that are close to the property include Clash Of Pans, Resto 37, The Hangar - Bar & Lounge - Holiday Inn, and Delhi Food Factory.